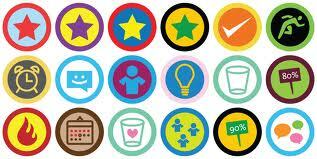 Over the next few posts I’ll explore the growing use of enterprise gamification. I became interested in the topic after an interesting keynote at IBM Connect this year by Jane McGonagal, author of the book ‘Reality is Broken: Why games make us better and how they can change the world”. I have to admit that while I “get” the concept of using game theory to shape behavior I was skeptical about how useful it really was in an enterprise context. I’ve spent some time over the past few weeks researching the topic and at this point my attitude has shifted quite a bit. When used correctly I now believe that gamification can provide a powerful tool to help companies encourage behaviors that they define as desirable. First though let’s make sure that we all understand exactly what gamification is and is not. Gamification is a business strategy that applies game mechanics to a non-game situation to drive or change some behavior. You will notice that nowhere in that definition did I mention technology. Gamification is not technology, it is underpinned or enabled by technology, but that’s not the point. The point is that its a business strategy and as such must be defined clearly to lay out what behavior you’re trying to change, why changing that behavior is important from a business strategy standpoint and then, how will game theory be applied to bring about this change. Gamification is about experiences; employee experience, customer experience, partner experience; creating fun and engaging experiences that ultimately results in a behavioral modification. To understand how gamification is used it’s probably useful to understand game mechanics and some of the techniques used in enterprise gamification, First though, remember the origins of gamification, it came out of the computer / video game industry so some of the fundamentals are closely tied to techniques in use there. I won’t spend time talking about some of the research I found on the impact of gaming on consumers, although it’s really worth reading McGonagal’s book. So that’s your introduction to gamification. In the next post I’ll show some specific examples of how companies are using the techniques to influence employees, customers and partners in positive ways.